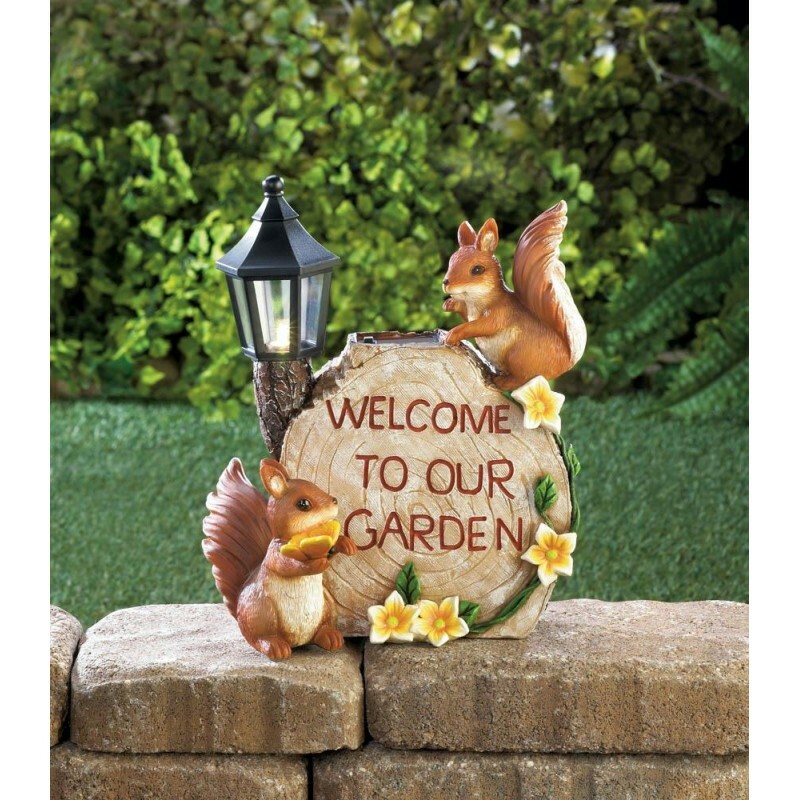 Welcome your friends to your garden with these little squirrel friends! 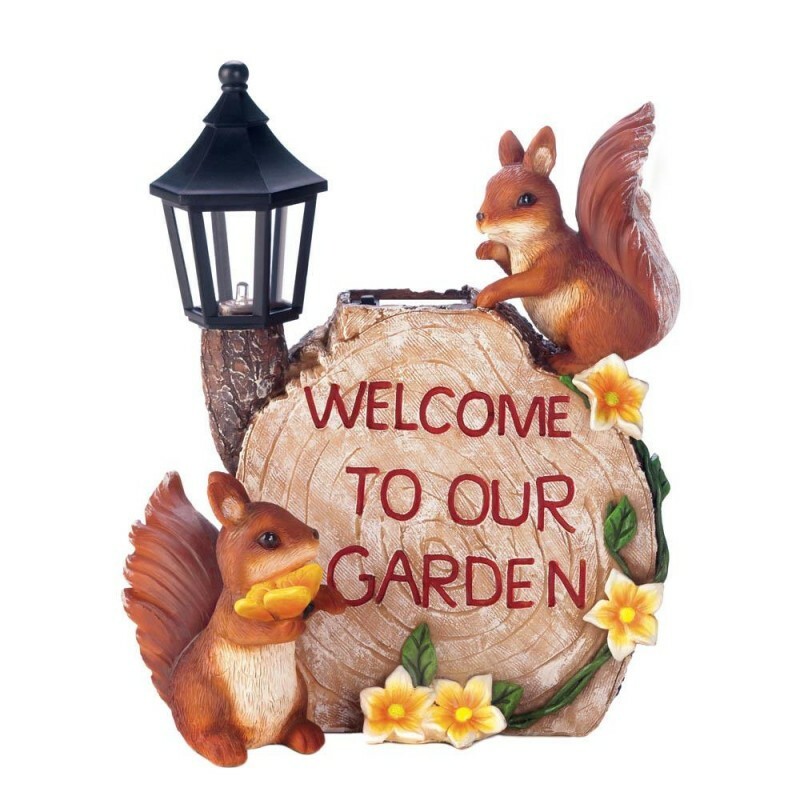 The statue looks like a sliced log with vines and flowers, along with two little squirrels and a lantern that lights up at night from the power of the sun. 7.5" x 4.75" x 9.5".